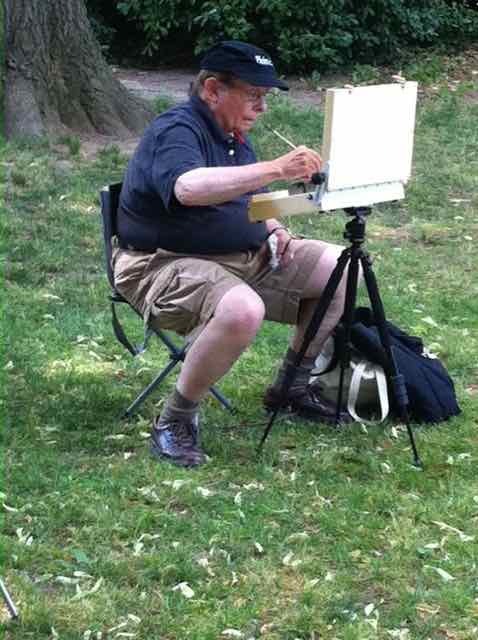 Salmagundi’s Plein Air Painters (and friends) held their second 2015 Paint Out on Saturday, May 30th at the Boathouse Cafe and Bethesda Fountain in Central Park. Next scheduled outing is Saturday, June 27th in Carl Schurz Park. Attendees will gather at the entrance to the park at East End Avenue and 86th Street at 9:00 AM. 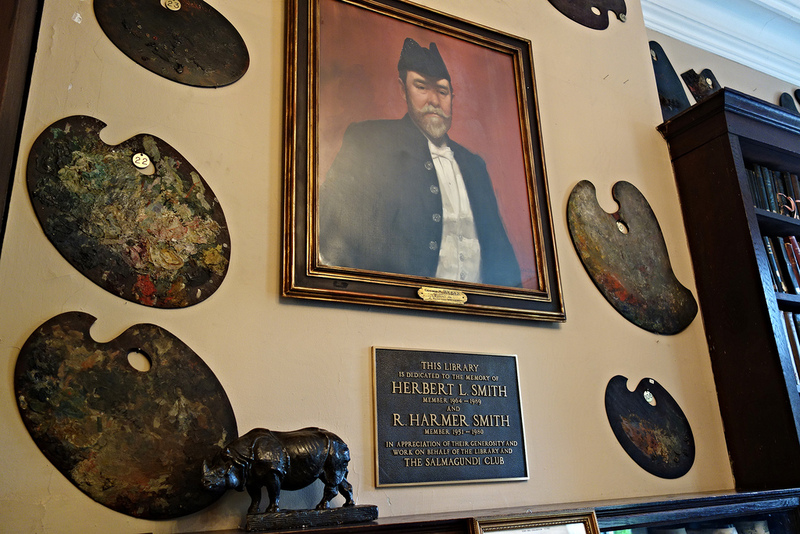 Note: According to the Salmagundi Club Centennial Roster, Henry Plumb was a member of SCNY from 1880 to 1930. 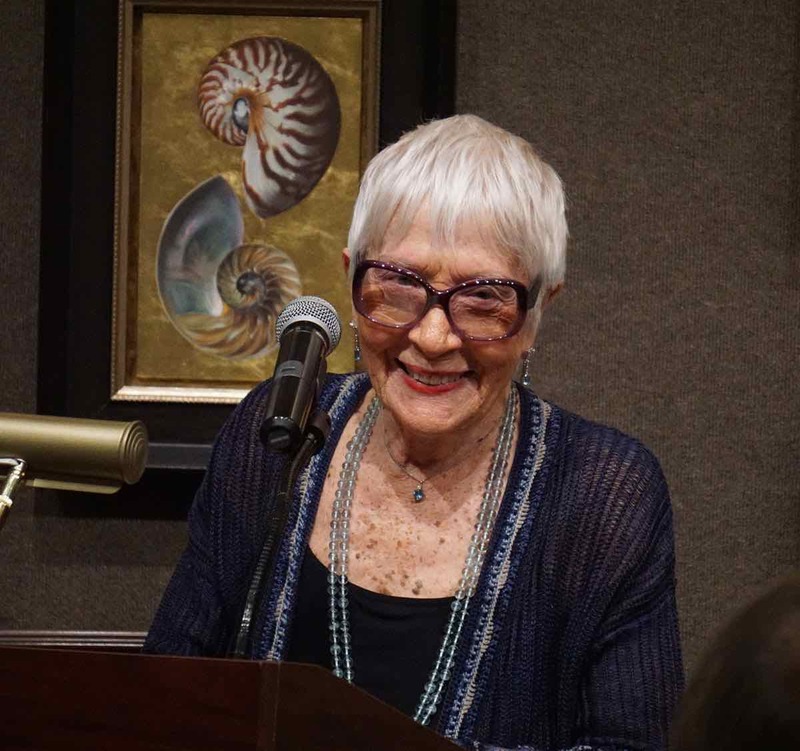 The 2015 President’s Dinner, filled with merriment, laughter and good cheer, honored floral artist and Salmagundi benefactor Sylvia Maria Glesmann with The SCNY Medal of Honor. 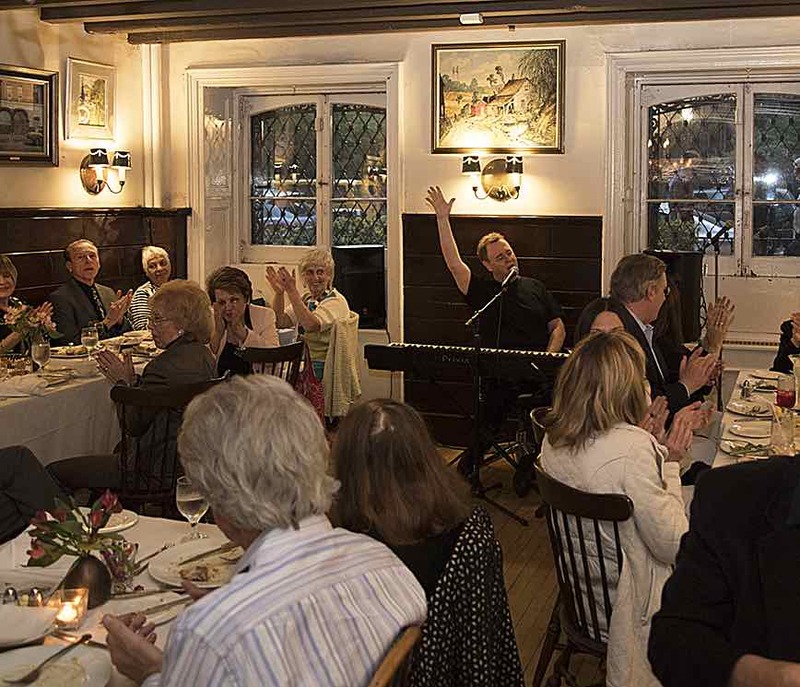 Following a two year hiatus, Mitch Kahn’s long awaited musical Soirée excitingly opened to a full house on Friday May 8th! 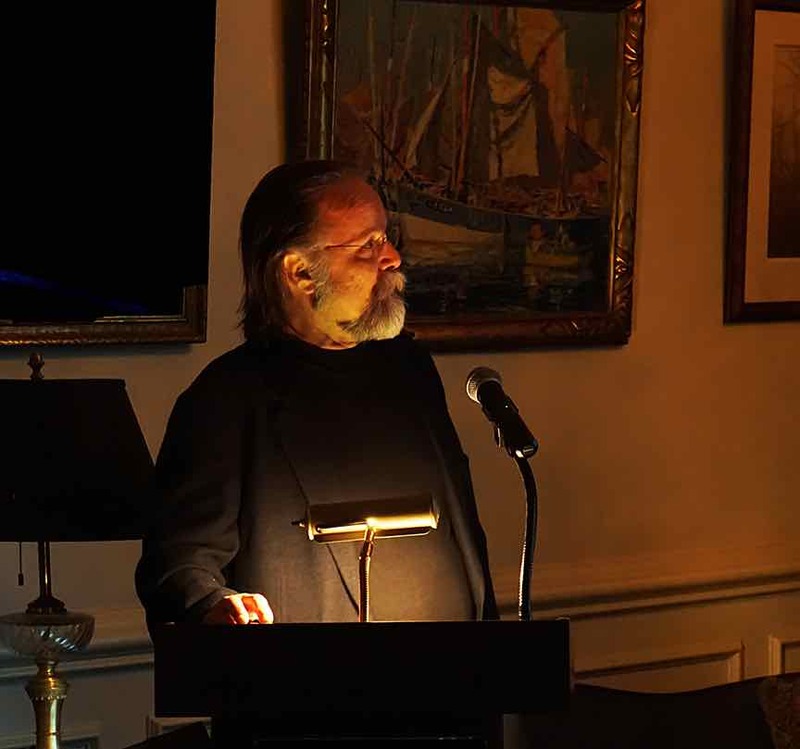 Guests were treated to a cross section of musical delights from Mitch’s repertoire as well as guest performances by artists from the audience. Needless to say, the merriment continued and, later in the evening, as if following a pied piper, the crowd migrated to the upper gallery to view the members show and our new piano. Exotic dance gave way to shouts of “olé!” as Beth and Costanza’s dance morphed into a bull fighting experience. Who can say exactly what will happen at the next Soirée? 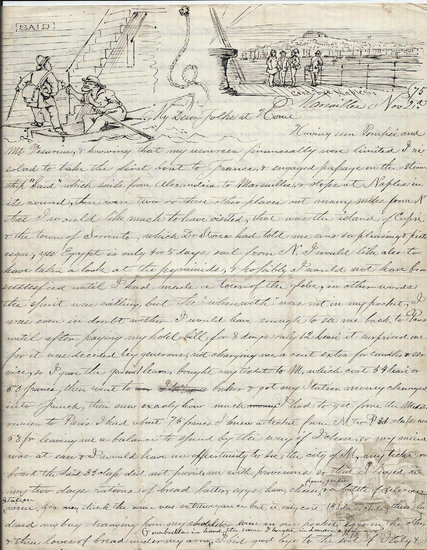 ….. A few things are certain–the entertainment will be special, the food sublime, and the camaraderie–ahhh, what can I say– ala Salmagundi. Be sure to make early plans and advance reservations to be assured a table on Wednesday, June 17th!! A presentation on gargoyles and plaster sculpture in New York architecture by John Scott, Salmagundian and Conservator-Analyst of Art and Heritage, was an insightful awakening. Drawing from his technical and historical knowledge, John introduced us to the many painstaking steps involved in restoring and conserving gargoyls, artifacts and architectural structures. After John’s talk, the two frolicking satyr gargoyles hanging in our bar room area will never appear quite the same. Hmm…or I may never appear quite the same to them. Hail to the “Monument Men” and Women of our Curatorial Team! 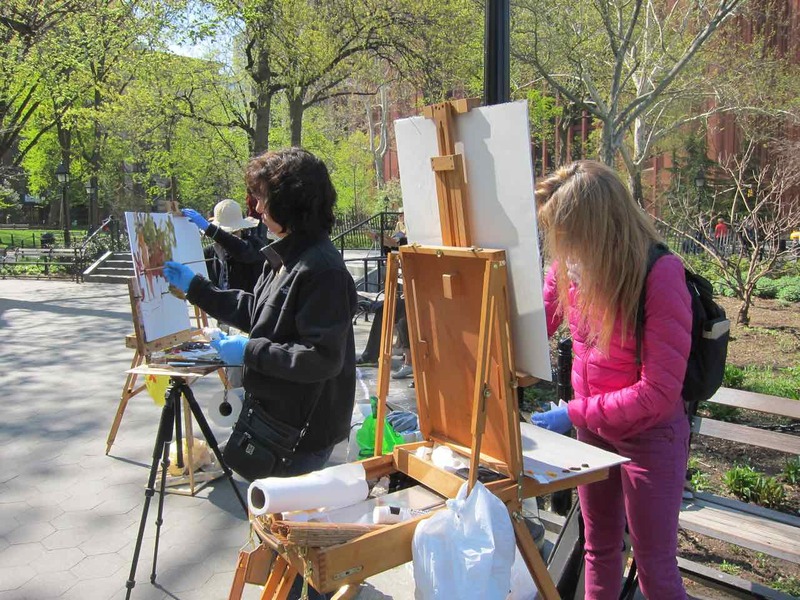 Upcoming Salmagundi Plein Air excursions are scheduled for May 30th and June 27th.